Decent Removal is providing you professional and efficient man and van Biggin Hill. Our professional and experienced movers carefully pack your items with utmost care. We manage your moving process from the beginning till the end. Our professional removalists have the capabilities to deal with all the moving chores and make your relocation far simpler and easier. We understand all the concerns of our clients you might have related to relocation, as well as minutiae of the moving process. With our experienced and wisdom, our professional mover makes sure that everyone works according to the plan to complete the task within a short period. Moreover, we do everything and anything for our clients, all you have to do is sit back, relax and leave the rest to us. We comprehend that moving is one of the frustrating and stressful events of life, but finding the reliable and reputable moving services can easily help you to ease the load. With trust, reliably and competitive rate, Decent removals help you in reducing your stress and give you the peace of mind you deserve. Our skillful movers have a great wealth of experienced and ensure you that your move runs as smooth and effective as possible. We are always ready to provide you proper guideline and help you at every stage of your relocation. Whether you want packing assistance, storage facility or man and van services, we have got everything covered. If you are searching for the best removal services in Biggin Hill, then hiring decent removal is the best option, as they offer you a comprehensive range of moving services which perfectly suits your needs and expectations. Our man and van services help you in loading, unloading and delivering your possessions right on time at your new locations. Over many years of experience under on belt, we understand that our clients have their specific requirements. That why our professionals listen to all your needs to make sure that everything thing done efficiently according to your desires. Our professionals provide all our clients top-class services of man and van Biggin Hill which suits your specific requirements and needs. Decent removals provide you the most excellent and efficient services of man and van in Biggin Hill to make your relocation stress-free and easy. Whether you move nationally, or internationally our professional man and van services cater to every type of move and deliver your possession at your desired destinations safe and sound. 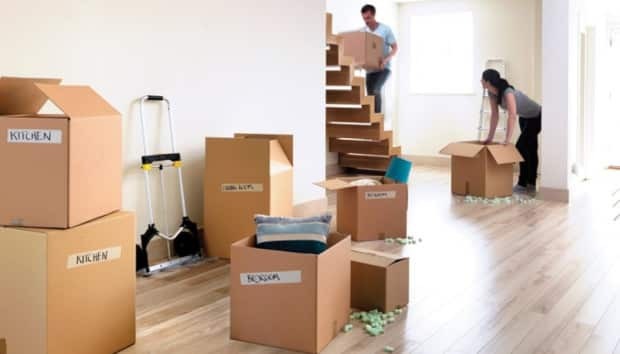 If you want to move your office or a house, Decent Removals have the best skills and expertise to execute any move with perfection and efficiency, whatever direction you are heading to we are always here to help you out in all situations. We are not only recognized by our quilt of work but also renowned by our professionalism, efficiency, and reliability. Decent Removal is considered one of the best leading and trusted removal company in Biggin Hill which help you in moving your valuable items, whenever you want to relocate. We understand how challenging and boring relocation is, that’s why our mission is to provide you with the highest quality moving services and makes your relocation hassle-free by minimizing the level of interruption. Our professional remoavlists highly appreciate that you might be worried or concerned about safeguarding your precious and valuable items during the transits, so you are pleased to discover that Decent Removals takes this concern exceptionally seriously. We handle your possessions with utmost care and make sure that everything is packed correctly. We pat extra attention and care, when we are lifting, loading, moving and transport your possessions. Our experienced movers gives 100% guarantee that your possession arrive right at your doorstep within a prescribe time in a safe and secure manner. Moreover, hiring our services of man and van Biggin Hill you don’t need to worry about anything such as moving, packing and transporting items. Decent removal is providing you fully insured services which give you a highest level of comfort and easy. In case of any unlike events such as breakages or things get misplaced, you can easily recover your damages as soon as possible. So whenever you choose Decent Removal, you have the peace of mind that comes with knowing that all your belongings are packed efficiently and professionally by our insurance policy. So don’t wait and hire our professional services of man and van Biggin Hill by contacting our customer services. To ask queries send us a message via email with your name, mail address and messages. Our experts are always available always accessible to give you satisfactory answers. Moreover, our trustworthy and reliable removals experts are always ready to discuss your moving requirements to provide you free estimated quotes.